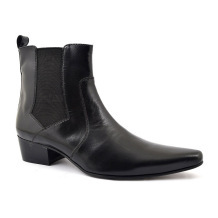 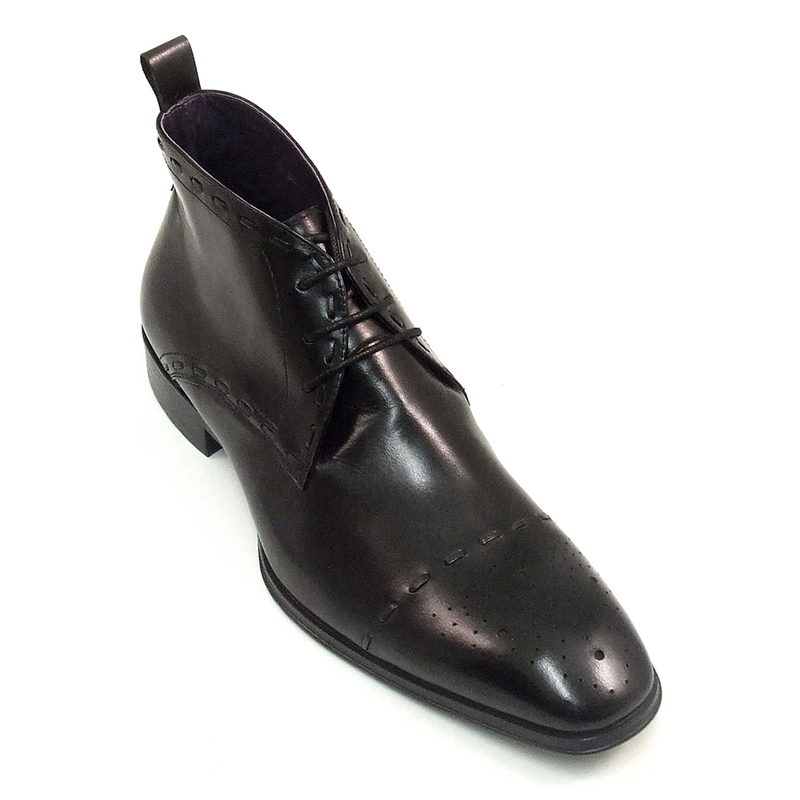 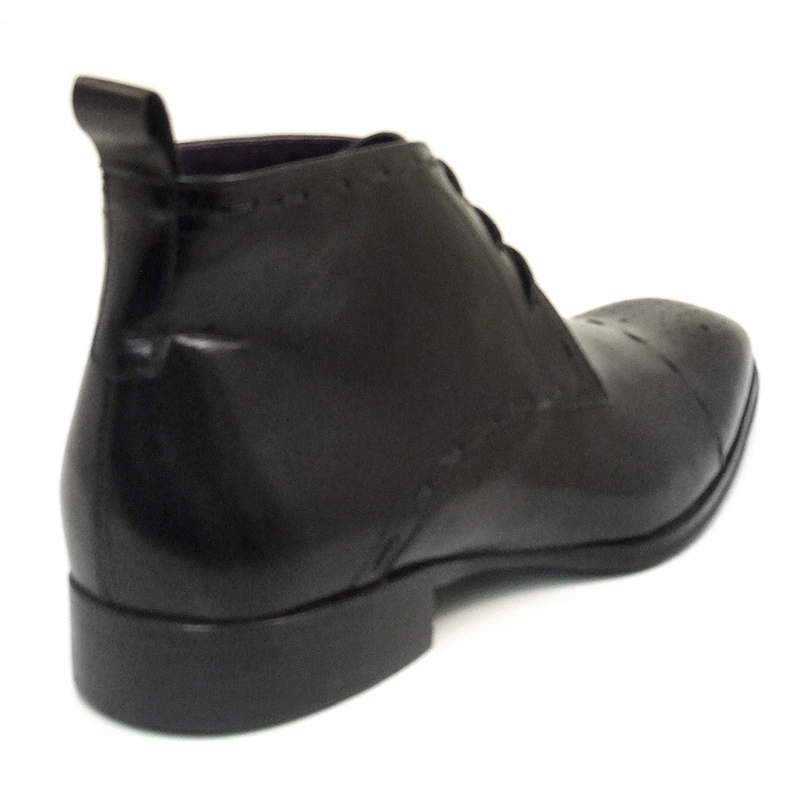 Sleek and polished black leather boot with three simple eyelets. 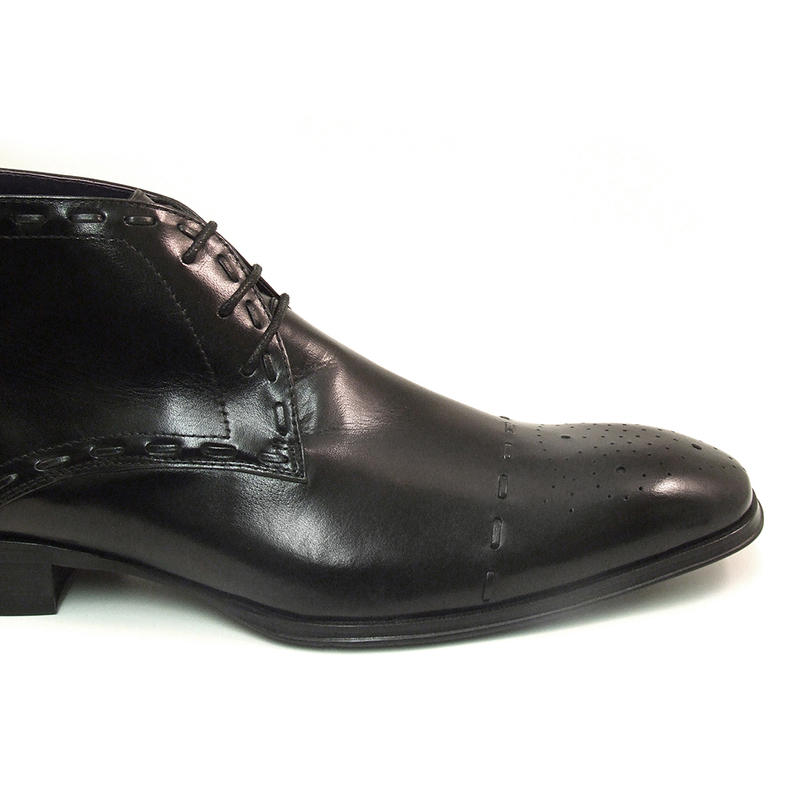 This has brogue detail to a beak toe and a running stitch to side panel and vamp. 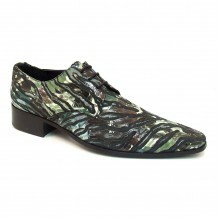 Express your individuality in these mens designer shoes by Gucinari. 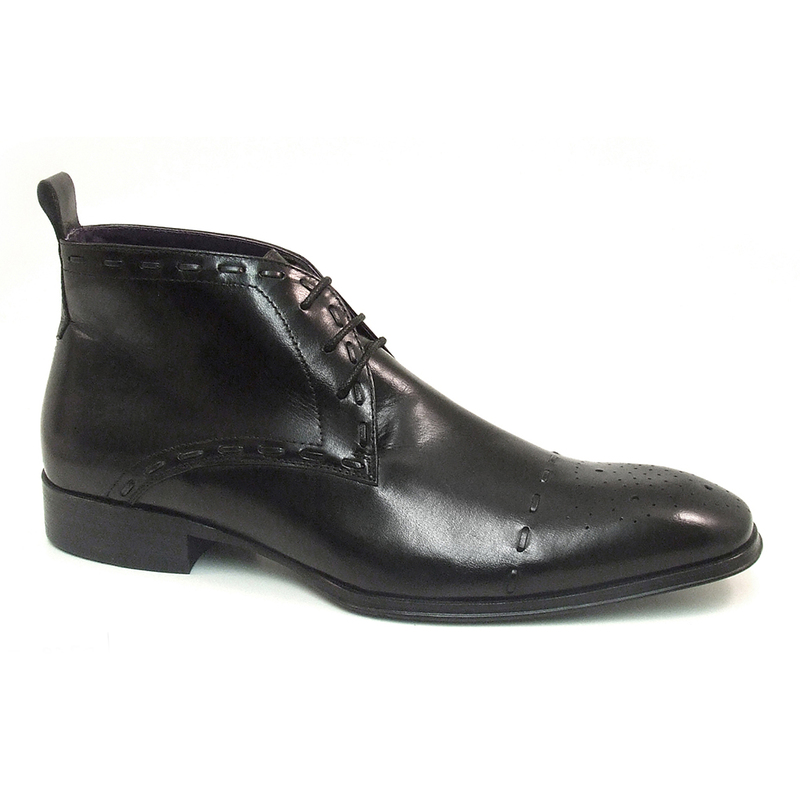 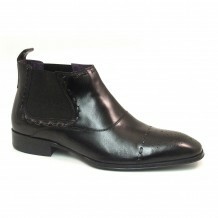 Be the first to review “Laurent Black Brogue Boot” Click here to cancel reply.